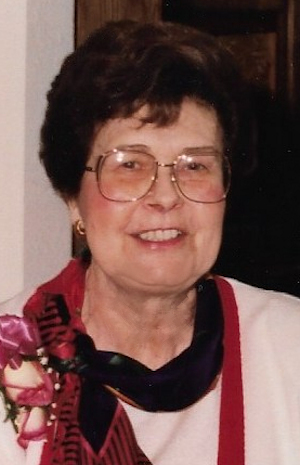 Obituary – Robinson, Lorene Susan (Zemp) « Perry High School Alumni Association, Inc.
– 18 year old daughter of Mr. and Mrs. Henry Zemp, Route 1, Perry, was born in Morrison January 12, 1922. She attended the Willow Creek school and the Sumner schools before coming to Perry. She was a member of the Red Hots, pep organization, and the junior candidate for football queen. She was also secretary and treasurer of her senior class home room this year. ﻿Lorene Robinson, 75, 1413 Seventh street, died at 3:08 a.m. Wednesday, April 23,1997, at Perry Memorial hospital. Funeral will be at 10 a.m. Friday at Zion Lutheran church, east of Perry. Rev. Edd Wunderlich, pastor, will officiate. Burial will be in Grace Hill cemetery under direction of Brown Funeral home. The casket will remain closed at the church. Memorials may be made to Zion Lutheran church. Mrs. Robinson was born southwest of Morrison on Jan. 12, 1922. Her parents were Henry and Sue (Bamberger) Zemp. 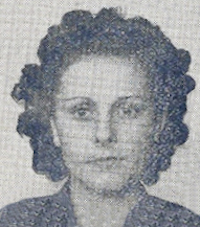 She attended Willow Creek rural school and was a 1940 graduate of Perry high school. On Dec. 24, 1941, she and Don Robinson were married. He preceded his wife in death on July 26, 1985. Mrs. Robinson had resided in the local area all her life. She had been employed at Lintz department store and JCPenney in Perry. She was a member of Zion Lutheran church. Survivors include a daughter and son-in-law, Sherry and Max Adams, Perry; a son and daughter-in-law, Gary and Pat Robinson, Oklahoma City; two grandsons and a granddaughter-in-law, Scott and Heather Adams, Perry, and Troy Robinson, Oklahoma City; one granddaughter, Shelly Hawkins, Oklahoma City; and three great-grandchildren, Damien Taylor Hawkins and Zane Bryce Hawkins, both of Oklahoma City, and Tyler Harley Adams, Perry; one brother and sister-in-law, Edwin and Imogene Zemp, Perry; and a cousin, Gerald Krauleidis, Blackwell, who made his home with Mrs. Robinson’s parents as a child.